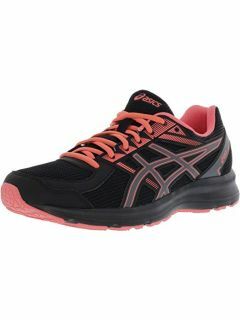 Workout shoes are everywhere but it’s tough to find the right pair that you’ll feel comfortable wearing after the gym. Plenty of people decide to simply repurpose old shoes for their workouts, but what if you had a pair that you could be proud of? We’ve found 10 phenomenal shoe designs that will not only look great during your workout sesh but that you can wear while running errands afterward. 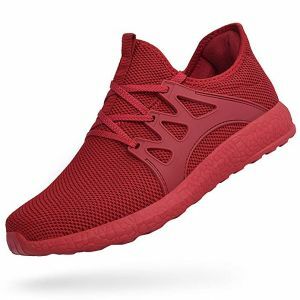 If you’re looking for a hypermodern pair of shoes, the Feetmat Slip-On Running Shoes are one of the best pairs on this list. There are plenty of activities that you can do with these shoes ranging from running to playing tennis, but we also love them as everyday streetwear shoes as well. Available in colors such as red, black, grey, and blue, the options are endless. Designed to be breathable, lightweight, and with a non-slip sole, you’ll get plenty of benefits from wearing them. We also love how they’re entirely slip-on, so you don’t even have to worry about laces. 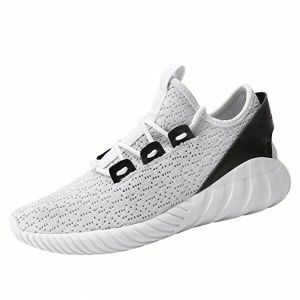 These workout shoes have a similar appearance to some pairs of Adidas, but they’re far more affordable. They’re also incredibly lightweight and breathable, two factors that are necessary for workout shoes. The slip-resistant high-elastic MD outsole is great for optimal traction. You’ll also love how there are plenty of colors to choose from, so you can pick the right pair for every outfit. Crossfit shoes usually get a bad rep because they can look a little different, but the Reebox Crossfit Nano 8.0 shoes are different. They fall somewhere between traditional athletic shoes and more modern skater shoes, making them ideal for the gym and real-world purposes. The main thing you’ll love about these sneakers is how they feature RopePro, which is one of the top tier technologies for optimal traction and foot protection. 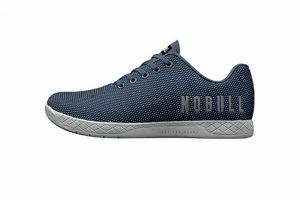 As the most expensive pair of runners on this list, the Nobull Training Shoe is fantastic for someone looking for a high-quality and luxurious pair of sneakers. They offer flexible protection and durability unlike any other pair of shoes. Featuring SuperFabric, an incredibly lightweight and abrasion-resistant material, you won’t have to worry about rips or tears. Also, the outsole lug pattern is fantastic for using the shoes in multiple environments, whether it’s outside or inside. 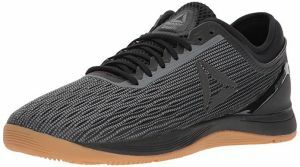 What makes the Hetohec Basketball Shoes unique is the fact that they’re soft and breathable, helping your feet to experience maximum air circulation while working out. You’ll also love the integrated insole that feels like you’re walking on a cloud with every step. Also, the MD sole is lightweight and gives you superior bounce-back while playing basketball, helping to protect your knees. 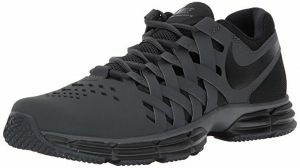 Nike is renowned for their fashion appeal and the Nike Lunar Fingertrap Cross Trainers are no different. We especially love the cross design made with synthetic fabric along the upper of the shoe, which adds a more artistic appeal to the shoes. With the help of the Dynamic Fit technology, your shoes will feel like perfectly-sized gloves on your feet. We also found that the rubber outsole didn’t leave marks on the gym floor when engaging in more in-depth exercises. Constructed using breathable and lightweight mesh, there isn’t much else you’ll need from a dual-purpose pair of trainers. 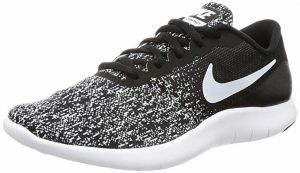 As another pair of Nike’s, the Flex Contact Running Shoes are sized for women and they have an impeccable style that will fit perfectly with all of your workout gear and streetwear. Featuring a circular-knit pattern, you’ll have the most comfort possible in the toe region. You’ll also love the soft foam inside of the sole which helps to give your feet a more natural feel while wearing the shoes. With fantastic traction and flexibility, while walking, running, or playing a sport, they look great and work even better. 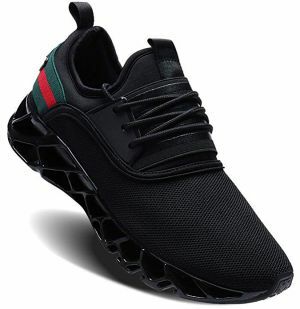 With a combination of various influences from top designers including Gucci and Adidas, these Umyogo Athletic Blade Fashion Sneakers are great for people looking for something a little different. Available in colors including red, black, and a combination of red, black, and green, there’s something for everyone. Designed to last over years of regular wear, you’ll surely be impressed by the high level of flexibility these shoes offer. 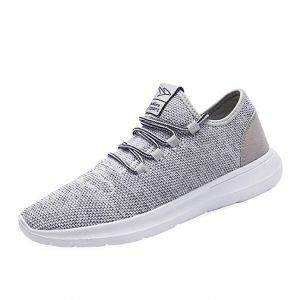 The knit upper also helps your feet to breathe as you workout and there’s added cushion for additional comfort. If there’s one thing to be said about running shoes, it’s that they’re designed for optimal comfort. 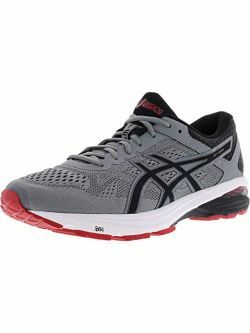 You may find that the Asics GT-1000 6 Running Shoes are the most comfortable shoes on this list. With that being said, they have a more traditional aesthetic but it’s still show-stopping and blurs the line between workout shoes and everyday wear. The most unique aspect of these trainers is the patented Impact Guidance System. This helps to enhance your natural gait for more natural movement while running. 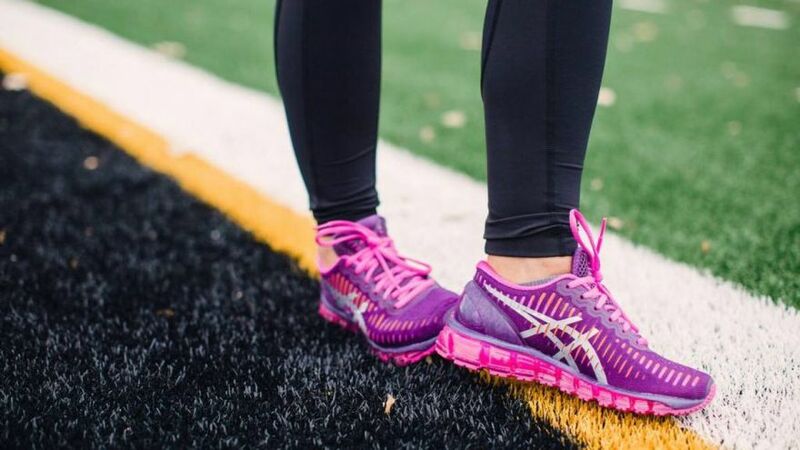 Perfect for women that are looking for shoes to help protect their feet while moving around all day, the Asics Women’s Jolt look fantastic and feel fantastic as well. Built with an EVA midsole and specialized outsole, they’re useful for both outdoor and indoor activities. You’ll also find that they absorb a lot of the impact from full ground contact, helping to protect the most delicate areas of your legs and knees. When it comes to choosing sneakers, you’ll want to make sure you’re choosing the right pair for everyday wear. You never know when you might have to run errands after working out and you’ll want a fashionable pair of trainers you can rely on. With the help of the pairs on this list, you’ll be able to protect your feet, feel more comfortable while at the gym, and still look fantastic after your workout sesh is over.